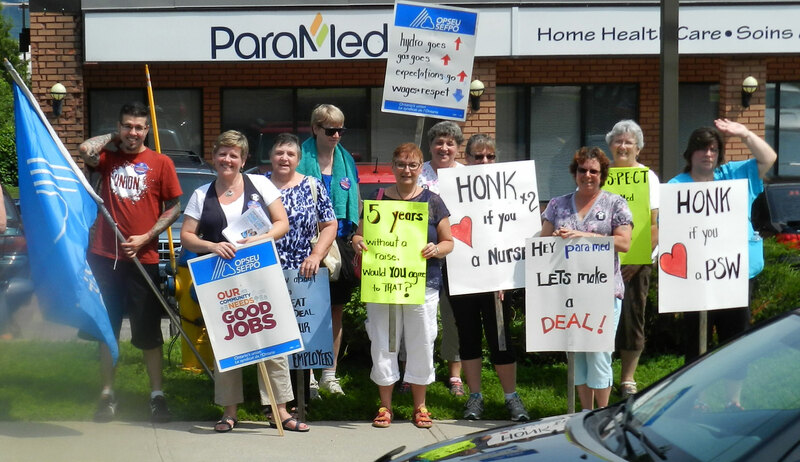 ParaMed staff picket outside their Pembroke office in July. 140 Renfrew County home care workers could be on strike as soon as September 2. The government gives, the home care agencies take away. 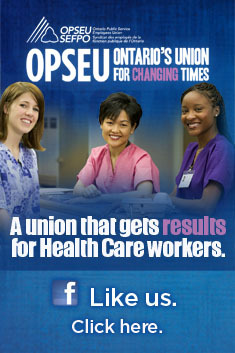 Many of OPSEU’s home care agencies are presently at the bargaining table. You’d think this would be the best of times for the professional and support staff that conducts the often difficult work of caring for Ontario’s homebound frail and elderly. Retaining this group of workers is also important to government bean counters who can add up the cost of lengthy stays in hospital by alternative level of care patients waiting for home care access. Clearly of all sectors, home care has also become central to the government’s strategy to migrate services into the community. So why can’t they get it right? Ontario did recognize there is a significant problem with recruitment and retention in home care, taking what appeared to be a bold step towards increasing specific funding for the sector’s personal support workers (PSWs). PSWs delivered 72.3 per cent of all home care visits in 2012/13 and that percentage is growing as visits by licensed health professionals (nurses, dietitians, social workers and therapists) have been in decline over the past decade. As we noted yesterday, the turnover is so high among home care PSWs that often the entire staff of an agency can change in less than two years. Home care reform: how wrong are these incentives? We probably wouldn’t have believed it had we not received the documents outlining the new plan for specialized home care funding. It’s staggering in its ability to further complicate administration of home care and create so-called “efficiencies” for which the benefits would neither flow to the patient or the Ministry/LHIN/CCAC to facilitate more care. 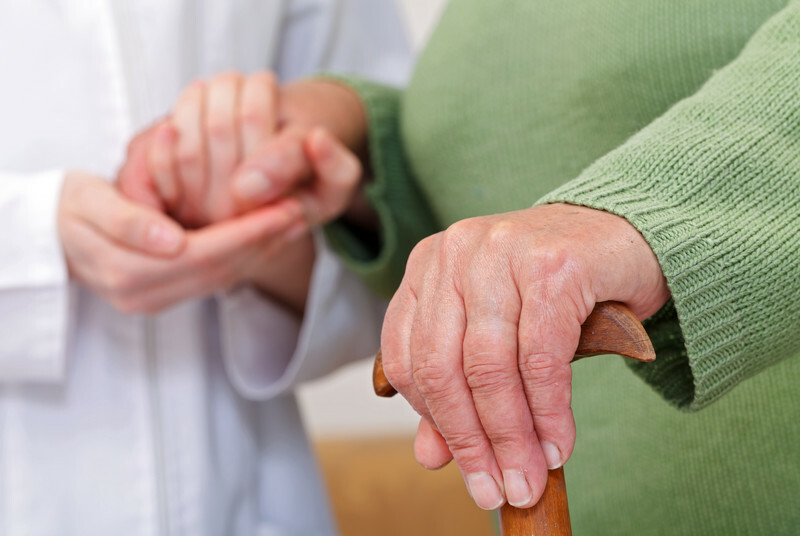 Stuck with hundreds of contracts to supply home care and support services, the government has now decided it needs a new funding scheme to add to the long journey the modest health care dollar has to travel before reaching a home care client. Keep in mind the home care dollar starts in the high altitudes of the Ministry of Health, where each spring it rushes down the slopes to the Local Health Integration Networks, where it pools and gently flows towards the Community Care Access Centres. From there it branches out from the CCACs into hundreds of small tributaries before reaching the home care agency. Sometimes that money is used by the agency to provide direct care by agency employees, other times it continues to trickle down to individuals who are treated as independent contractors. This is a journey that can often take the better part of a year for the home care dollar. Within that long journey there are many eddies and pools in which this money gets trapped en route to serving the needs of Ontario’s home care patients. It’s one of the reasons why administrative costs for home care are conservatively estimated to be about 30 per cent (as compared to less than 10 per cent for hospitals). It is at the CCAC level where the real action begins. The CCAC case managers, sometimes called care coordinators, assess clients, assign care services, and follow-up to ensure the client is receiving appropriate care. Often they have to play the role of advocate on behalf of their clients. They also play the role of system navigators and ensure a seamless transition to those in their care. New accountability requirements placed on these case managers have meant they have been able to spend less time face-to-face with patients and more time filling out paperwork. That has meant about $100 million more spent on case management between 2007-08 and 2010-11. If that wasn’t enough, now the province is actually piloting a new funding and administration model, where much of the coordination presently done by the CCAC case manager is devolved to the private home care agency. The new Ontario Tory plan for health care is simple – eliminate the Local Health Integration Networks and the Community Care Access Centres and let between 30-40 “hub” hospitals run the health care system – or at least the bits not run by the municipalities or the doctors. The new PC Caucus white paper, Paths To Prosperity: Patient-centered Health Care, is thin on specifics and long on rhetoric – much of it borrowed surprisingly from the McGuinty government. Aside from attacks on the LHINs and the CCACs, the broader strokes are not that different from the government’s own plan, including the Triple Aim we continually hear so much about. The “Triple Aim” sets goals to enhance patient quality and satisfaction, improve population health and reduce costs. Who could be against that? While dumping the LHINs and the CCACs, the Tories would create physician-led “Primary Care Committees” which would link to the hospital hubs. The role of these committees is not clear beyond giving physicians more of a say in how the health system runs and somehow charging them with scrutinizing their own performance. How nice. While this plan appears to centralize decision-making functions to the hospitals, the Tories counter that this represents a “decentralized and delayered” system. At the same time they sing from the George-Smitherman-Career-Memorial integration songbook. Decentralize and integrate? Confused? We all should be.